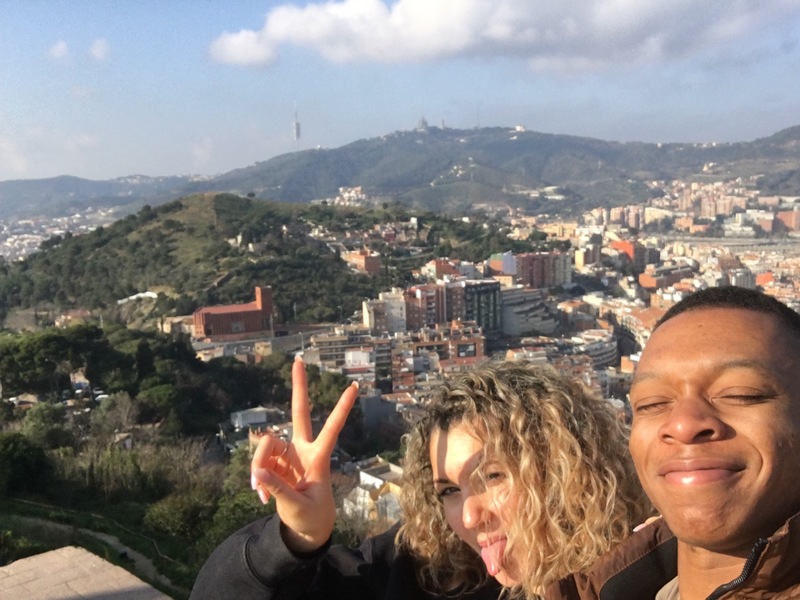 So me and my boyfriend, Jamal decided to start our new year different this year and flew out to Barcelona on New Year’s Day! 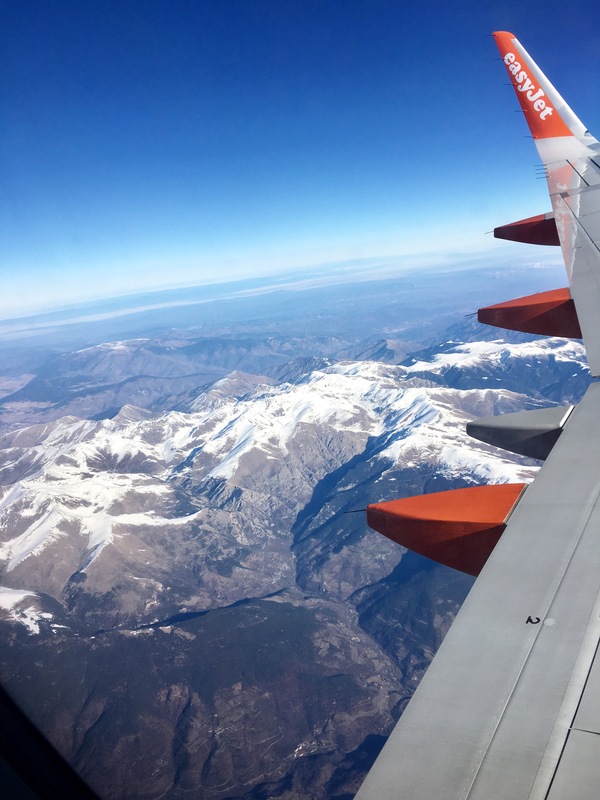 We stayed in Gatwick New Year’s Eve and literally I was asleep by 9pm (definitley living it up) and we flew out to Barcelona the following day. We stayed in La Barceloneta in hotel Santa Marta which was really lucky because literally everything was within 10/15 mins walking distance – we didn’t even realise this til we arrived. If anyone is looking to go to Barcelona I would 100% suggest staying here as it’s so close to both the beach and city centre. We didn’t do any clubbing whilst we were out there, we just found ourselves jumping on and off the metro exploring the city. It was such a chilled break. 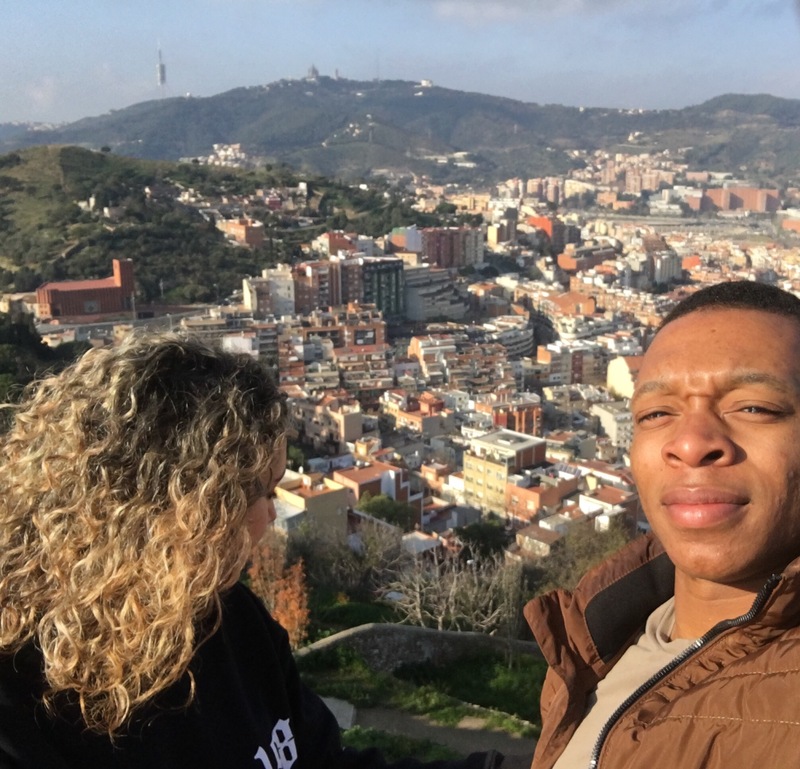 I think the best part of our trip was the views from the top of Bunquers del Carmel, it was soooo beautiful and the sun was beaming, considering it was January. Definitley one for your bucket list. It was a really nice place to just sit and take in the surroundings and as you can see, the views were incredible. Its hard choosing what to share with everyone as there are way too many photos for me to post and describe. Overall it was an amazing trip and I couldn’t think of a better way to kick off the new year. It definitley gave me a better insight as to what I want to do this year and places I want to visit. I was never really fussed on travelling when I was younger but since I’ve gotten older I have more of a desire to visit different places. I think it’s so important to travel, especially whilst you’re at an age that you’re able to do it. Even if it’s not backpacking just booking a few trips here and there. We’ve been to Ibiza, Amsterdam and Barcelona in the past 6 months, next is Lanzarote in April and I can’t wait! !